In this era of increased globalization, the need for strategically located regional headquarters is paramount. Multinational companies are dividing their operations in homogeneous markets so as to allow them to more effectively address key differences between regions, which in turn allow for closer interaction with consumers, clients and various stakeholders, and support these organizations in their ultimate aim of achieving sustainable long-term growth. Ideally situated in the middle of Latin American, the Republic of Panama offers the best environment for any multinational company to establish a regional headquarters. As of January 1, 2012, 63 international companies have already established regional branches in Panama, including Samsung Electronics, Inc., LG, DHL, Dell, Hutchison Port Holding Group, HSBC, Maersk, Scotia Bank, Assicurazioni Generali, Tetrapack, PSA Peugeot Citroen, General Electric, Johnson and Johnson, Caterpillar, Procter & Gamble, Unilever and McDonalds, among others. There are many reasons why these, and a growing number of other multinational companies, have chosen to set up shop in Panama. 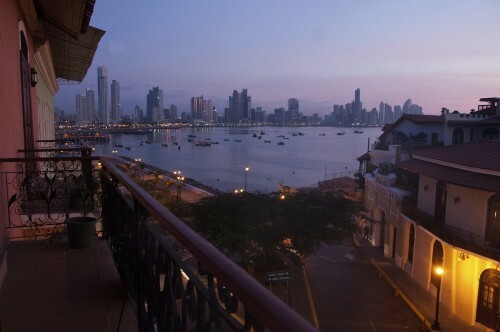 Some of the prime attractions for these organizations include Panama’s sustainable, prospering economy and the largest financial center in Latin America, in conjunction with the nation’s deep commitment to democratic values and the availability of talented professionals who readily embrace the challenges these companies may confront. Additionally, the use of U.S. Dollar as the national currency offers great stability. Notwithstanding the above, the recent influx of multinational regional headquarters can best be attributed to the enactment of Law 41 of August 2007, which provides incentives for international companies to establish their regional headquarters in Panama. Through this legislation, the Panamanian Government has encouraged the opening of regional headquarters by offering various labor, tax, customs and immigration incentives. In particular, there is an exemption from income tax and service tax (VAT) for services rendered by a company to its affiliates or subsidiaries outside of Panama. Also, foreign executives rendering services to the company in Panama are exempted from paying income tax and social security when their salaries are paid by the parent company. In conclusion, there can be no doubt that the isthmus of Panama deserves serious consideration as the most stable, most desirable, and most profitable place to do business in Latin America.